The Maximus team is excited to announce the release of a major update. Our goal with Maximus is to provide the best accessibility for everyone to use Fire and Forget settings. As part of this ongoing mission, we have made a number of changes within the platform. 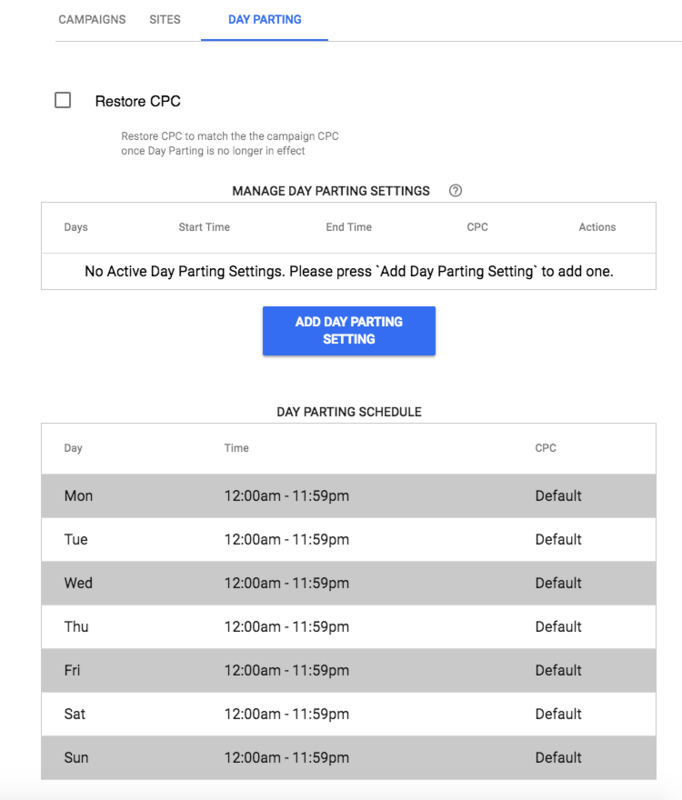 The Fire and Forget settings on both Add Campaigns and Campaign Details have been updated to separate Campaign, Site and Day Parting configuration into tabs. Maximus will now use the Acceptable Profit percentage as a gauge on when to increase budgets. If your campaign is near budget cap and making that acceptable profit levels, then Maximus will increase the budget. ACT windows will no longer be configureable. 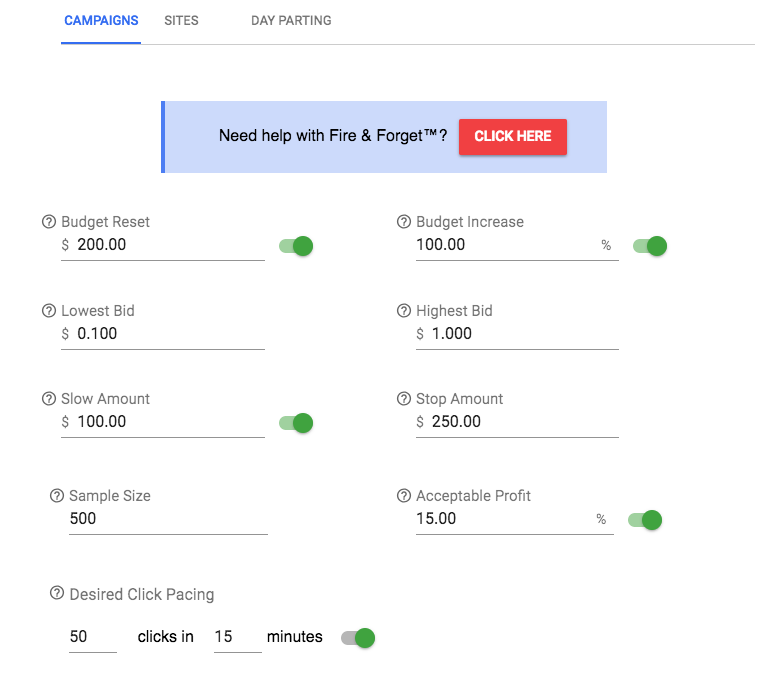 There are no use cases on why a campaign’s optimization should be based on any clicks within the Average Conversion Time window. This update changed the Fire & Forget design, fixed a number of bugs, and updated a number of features behind the scenes.Because this is such a major update, we're still working on updating our logs and documentation with the new terms—please bear with us as we refresh our help documentation!